Flashback with us to eight years ago and to a time when a little protein folding game with a big dream was unleashed upon the world. Since then, Foldit has been the subject of dozens of articles, numerous papers and presentations, won awards, and had our early days chronicled in a book. 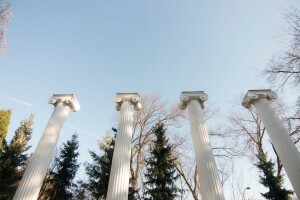 We have also appeared in a nearly countless number of articles and mentioned in other books! 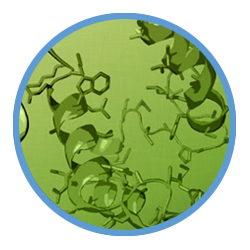 These days, our community is focused on breaking new ground, with great tools like the Ramachandran map and an experimental client with tools for small molecule drug discovery! With frequent and regular science chats, a steady stream of videos produced by the community, and new puzzles appearing to challenge players regularly, there’s never been a better time to get involved. Also, we’ll be at Shoreline STEM festival this weekend if you want to say hi! We’re posting this live from our annual Engineering Discovery Days, held here every spring on the beautiful University of Washington main campus. If you haven’t registered already, it’s unfortunately filled to capacity, but if you have registered, we’ll be here until 2pm today and from 10am-2pm tomorrow. We’re right inside the atrium, and cannot wait to meet even more of our community tomorrow! Additionally, we have a limited amount of Algebra Challenge themed swag packs this year – so if you’re a teacher, after school leader, or youth group organizer – feel free to tell us and we’ll get you one! This weekend, Foldit and Nanocrafter will appear at the annual USA Science and Engineering Festival Expo! It’s free, so if you’re in the Washington DC area, come on over to the Walter E. Washington Convention Center, stop on by booth 2934 and say hello! 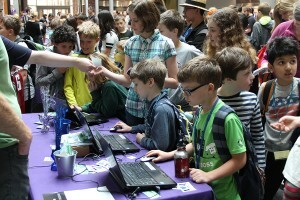 Check out this brand new article from the Information School here at the University of Washington about the KidsTeamUW program, and how they’re working with our BlockStudio to make it even better! Center for Game Science on the Go! We have a busy spring schedule ahead and would love to see you if you are in the area! Our Foldit team will be out and about to share the fun of protein folding for students and parents. Come meet members from the entire team, pick up a packet of Algebra Challenge event stickers for you and your class, and try out fantastic Center for Game science titles during this annual two day event. As part of our “Spring into Science” tour this year, we’re also headed to Spiritridge Elementary for our very first Family Science Night there. When we were invited to this great event last year, we had such a great time meeting everyone that we’re doing it again! This K-12 student science fair features hands-on STEM fun, robotics demonstrations, and more.